This was on Martha's Vineyard at Gay Head. The house looked like something out of Teddy Roosevelt's time. All that's left now is the tower. It was on a nice, high perch but from some viewpoints, you could not see the sea. The children were inspired by Winslow Homer because he created them as down-to-earth and charming. They are symbols of another time . . . monuments of a simpler, gentler ear . . . guardians and guideposts for safe passage. 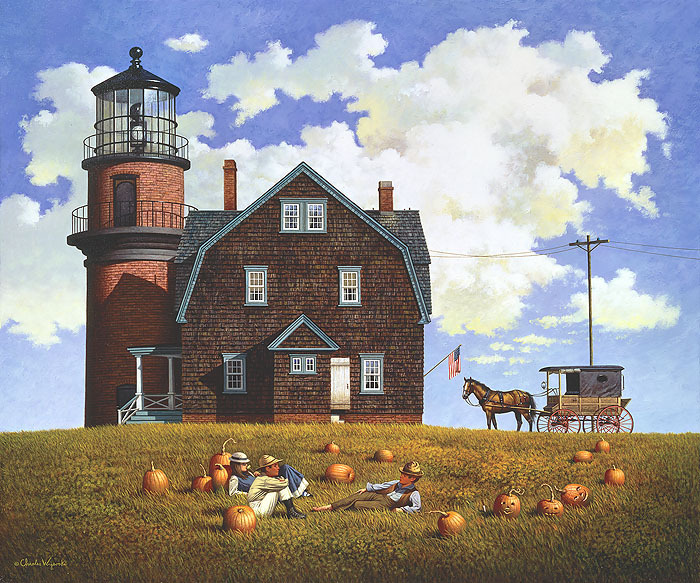 They are lighthouses and for years they have been staples of Charles Wysocki’s wonderful work.